So here’s the latest mad cap challenge we plan from 14th April to 22nd April covering 1,000 miles in just 9 days! This ride also coincides with both mine and G’s 50th Birthdays although not during the ride itself like Macca did! 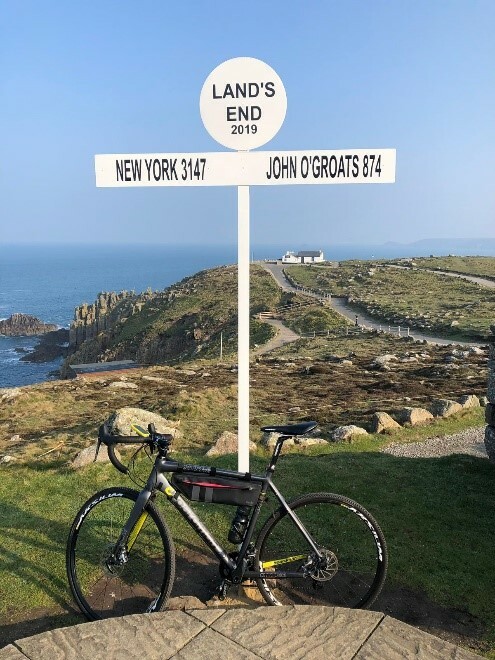 Anyone who read the Peaky book will know that ever since I started road cycling I have wanted to cycle from Lands End to John O’Groats (LEJOG). Its famous in UK cycling as it’s the 2 furthest points away from one another on mainland Britain. In fact, I wasn’t going to do the French King of the Mountains in 2017 as I had planned to do LEJOG with my brother earlier that year until it fell through. Anyway, early last year Ben said to me “look JB if you want do this LEJOG ride I’ll do it with you!”. Within a few days I got working on a plan for the ride based on the same book I had bought back in 2012. We also discussed with Mark C who had done the ride himself 10 years earlier. We announced the idea to everyone in Grench (our cycling club) plus friends and family and asked for people to show interest in getting involved. 4 people committed to the whole ride and others said they would join for certain days including my brother Tim! So here we are a few days to go training all but complete. Checking bikes, checking kit lists, checking food requirements, checking hotel bookings and most importantly checking the weather forecast, which seems to change every day! However, now there’s only 2 of us doing the whole ride!! 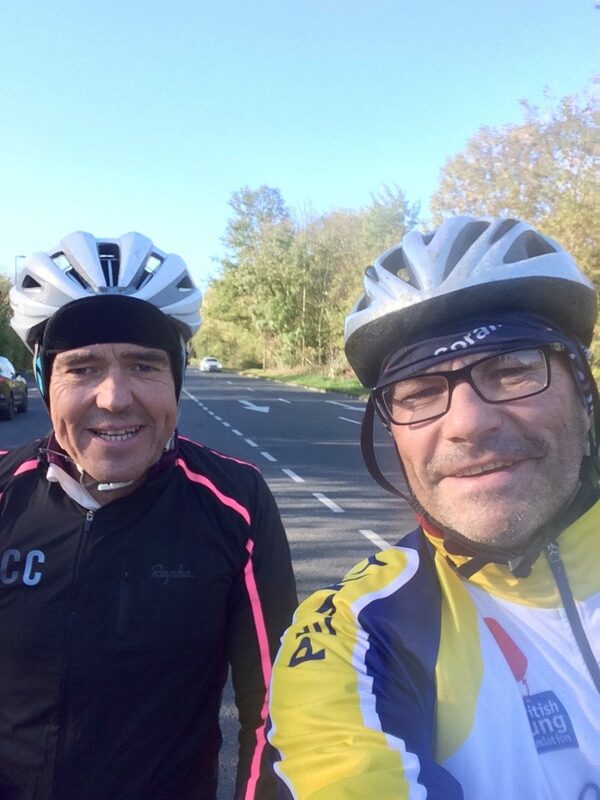 So it was all sorted we had 4 people doing the whole ride, Ben, myself, Richard Starkey (Grench) and G. We went out for our first team training ride in early October and all realised we had a lot of work to do, other than G who could do it tomorrow. …first Ben fell off his mountain bike and ended up in hospital. He managed to break his collar bone and thumb. Only problem was they were on different arms so he couldn’t actually do anything at all for 6 weeks! Then Richard’s father fell ill and unfortunately died. As a result both Ben and Richard decided they couldn’t commit to ride very understandably. We discussed it and decided in the end to go ahead as everything was booked and arranged and it wasn’t just the 2 of us doing it we now had another 12 people joining along the way! So next was the milestone rides first with a 100 mile ride around Oxfordshire. We were joined by Mark Barnard and Adam Stay both also doing certain days on Lejog. For Mark it was his first century ride and he did great, Adam couldn’t do the whole day due to family commitments but he has already done the southern part of the route from Lands End 3 years ago and now planned to join us for the northern part with a friend Paul who lives in Edinburgh. Next we had the 3x 60mile rides riding Friday, Saturday and Sunday in Late Feb. For this nearly all of the crew came along at various days with a few of us doing all 3 days. My brother Tim and his friend Philip came down from Manchester. Mark Crick, Nobby & Simon and my friend Greg from Devon. We also had a few other guests not doing the event including a school friend of my brothers he hadn’t seen for 30 years!! Anyway all went well including the Sunday in torrential rain and strong wind! Last week Graham went to Penzance to watch Rugby and checked out part of the route! Lets hope the weather is this good when we are there! Lastly my Nephew Ollie and a work colleague of mine Callum who actually lives in the US decided to join us with his brother for the last 2 days. Callum is Scottish and thought it would be great to join in so the team is complete.